Delicious portable breaks to carry with you. 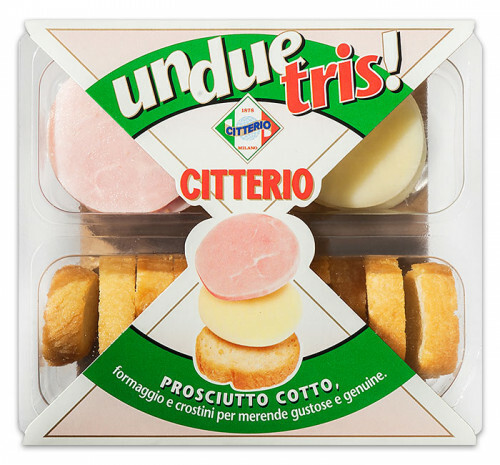 UnDueTris! 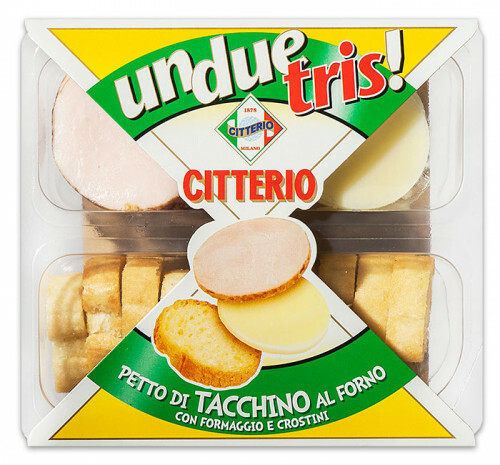 is the delicious snack Citterio offers in three different combinations: salami, cooked ham and turkey breast, with tasty slices of cheese and fragrant croutons. 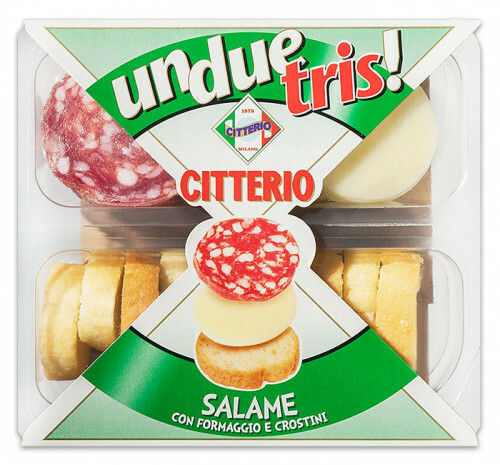 Only fresh, natural, high-quality products in the practical tray for a children's snack or to eat at work, when travelling, o at the gym.